back to the garden... flower power comes full circle: Tel Aviv Spiritual Film Festival to screen "Back to the Garden" on September 11th and 12th! 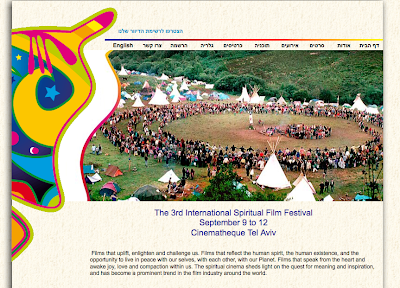 Tel Aviv Spiritual Film Festival to screen "Back to the Garden" on September 11th and 12th! We are the guests of the Tel Aviv Spiritual Film Fest. We are so excited to go to Israel...we've never been there. This is a film fest that particularly honors the spiritual theme which runs throughout "Back to the Garden..." We're especially curious to witness an Israeli audience response to our story of the American dream set in the Back-to-the-land community of rural Washington State. We'll keep you posted on our screening direct from the middle east.